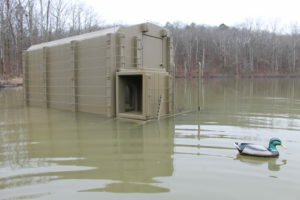 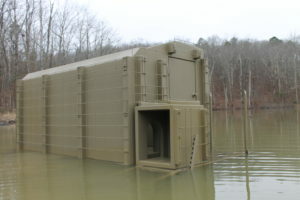  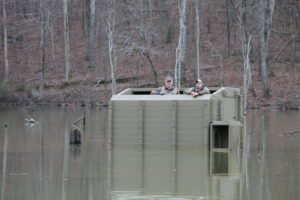 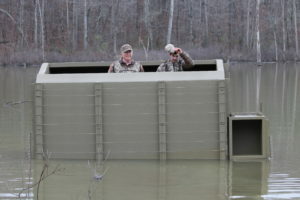 Duck Blind | | Rhino Building Products, Inc. Duck hunting isn’t a just a hobby, it’s early mornings and cold waters. 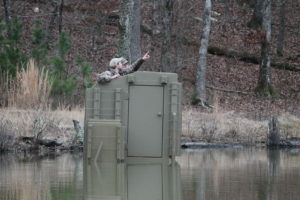 It’s about getting the best spot and using the best equipment. 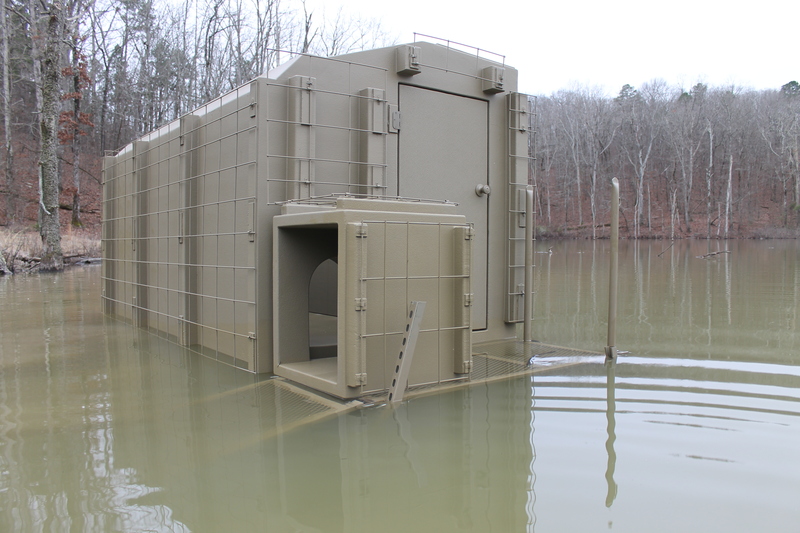 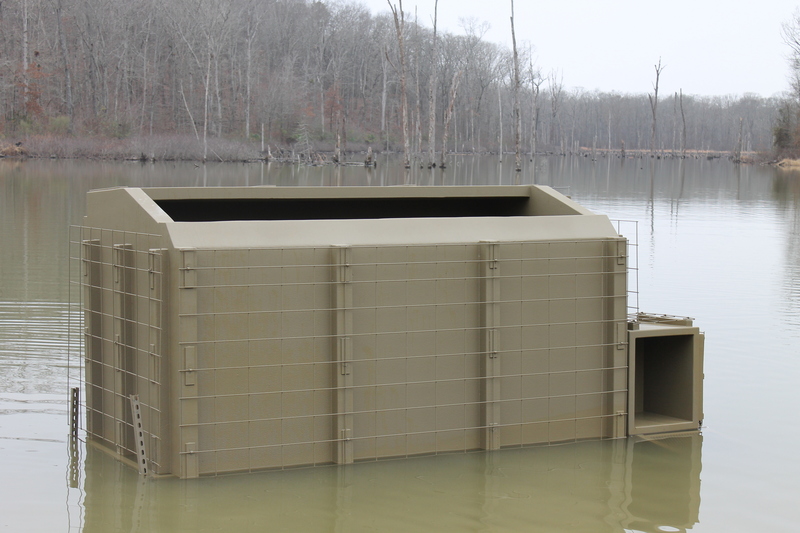 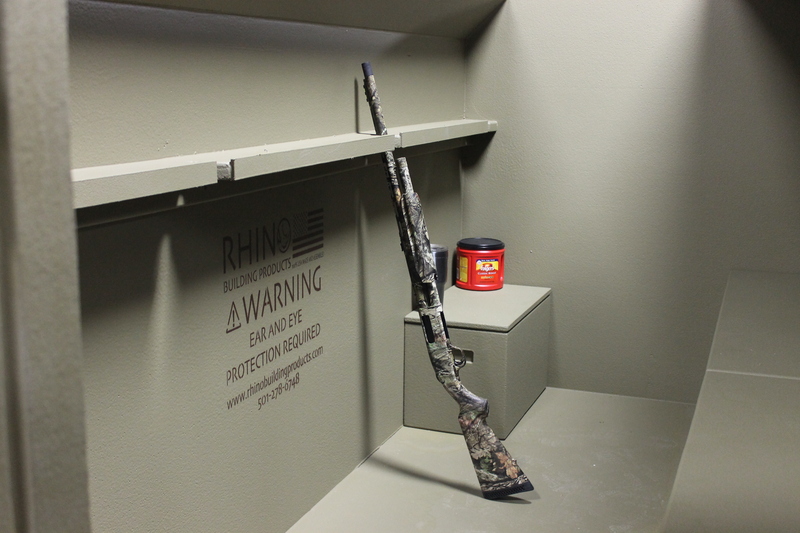 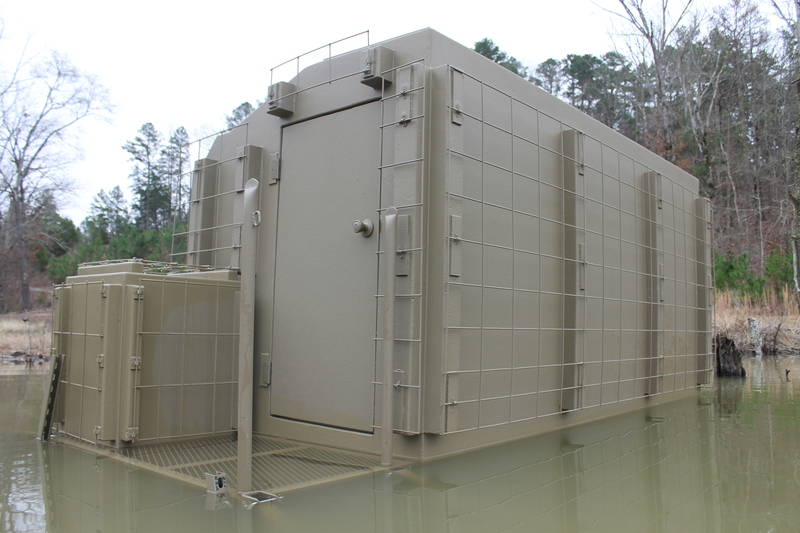 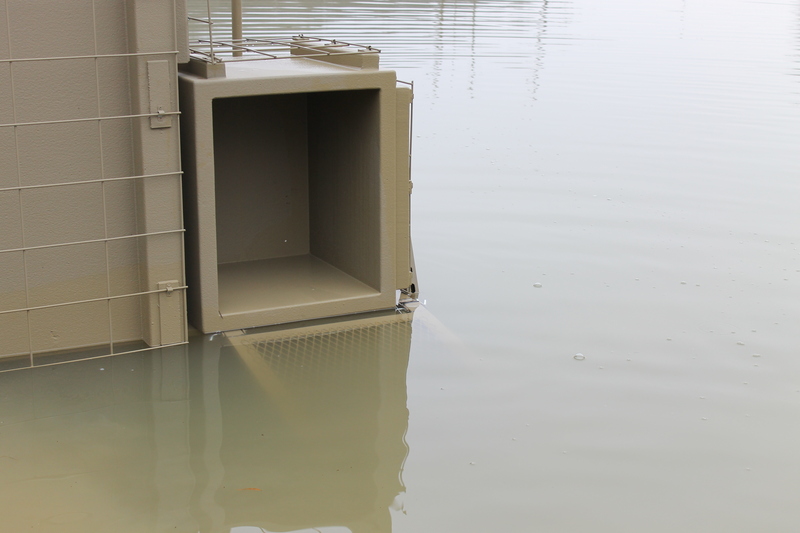 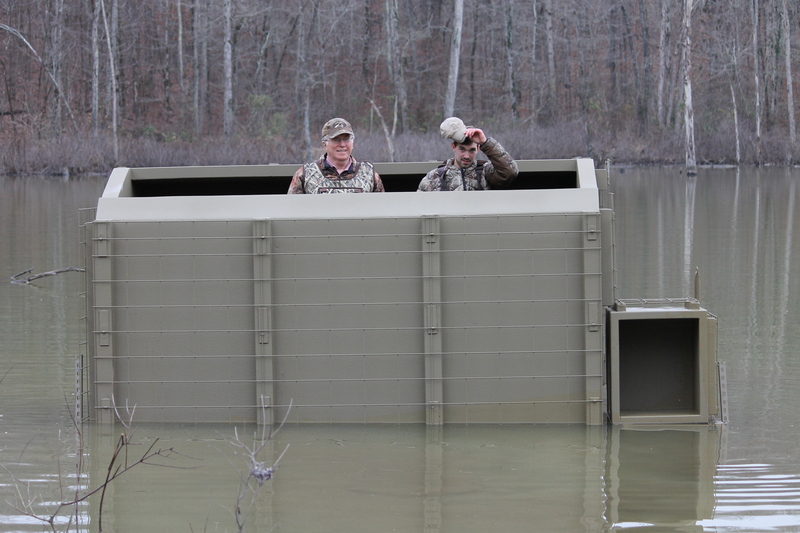 The Rhino Building Products Duck Blind is a comfortable, durable option. 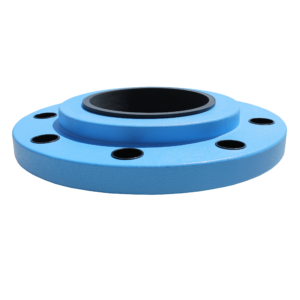 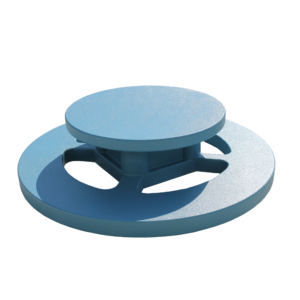 It sits on an all-purpose skid that allows you to drag in to your favorite location, and once on the water it has 100% float at water level making it incredibly stable and effortless to position. 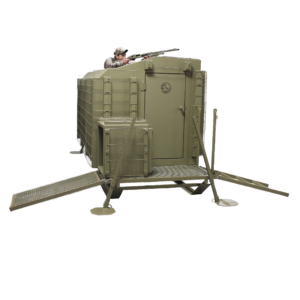 Four drop down outriggers keep it stationary and pull up quickly to allow you to move location with ease. 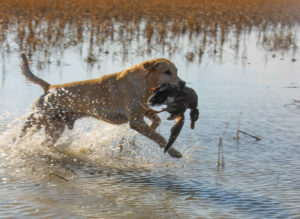 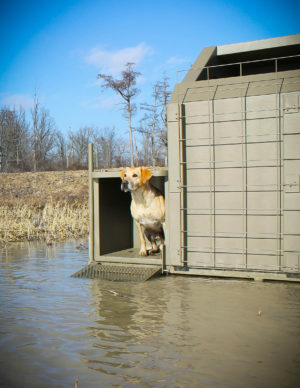 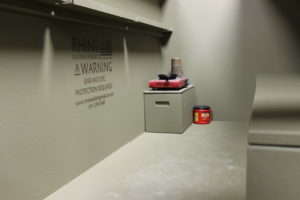 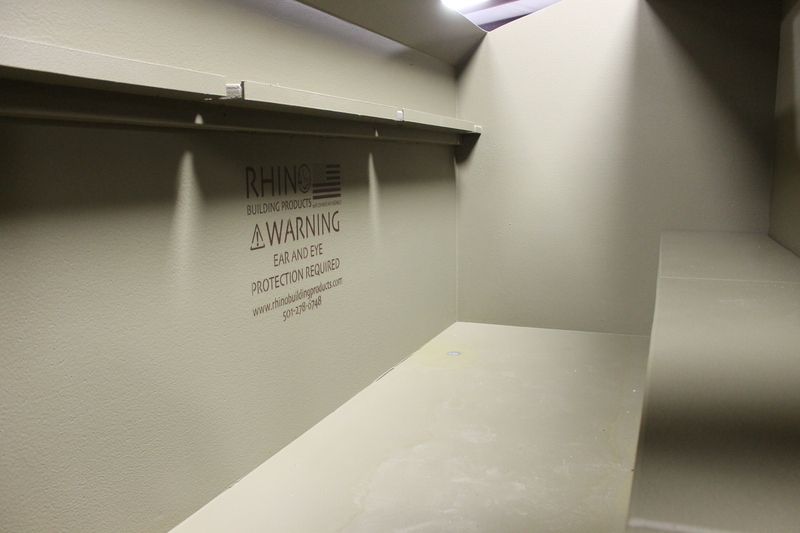 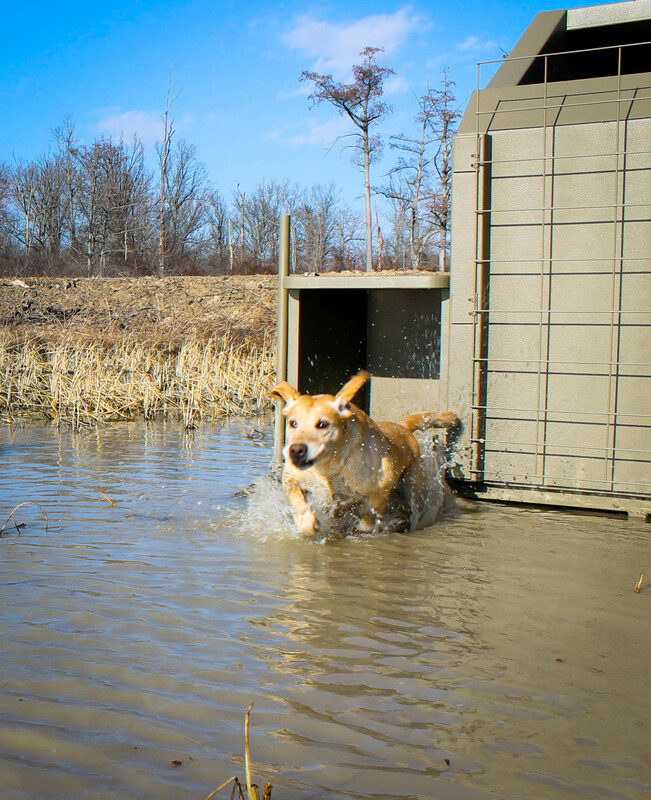 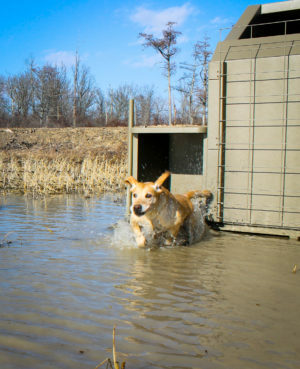 The Rhino Building Products Duck Blind has a variety of features including a canine-friendly ramp and a dog box. 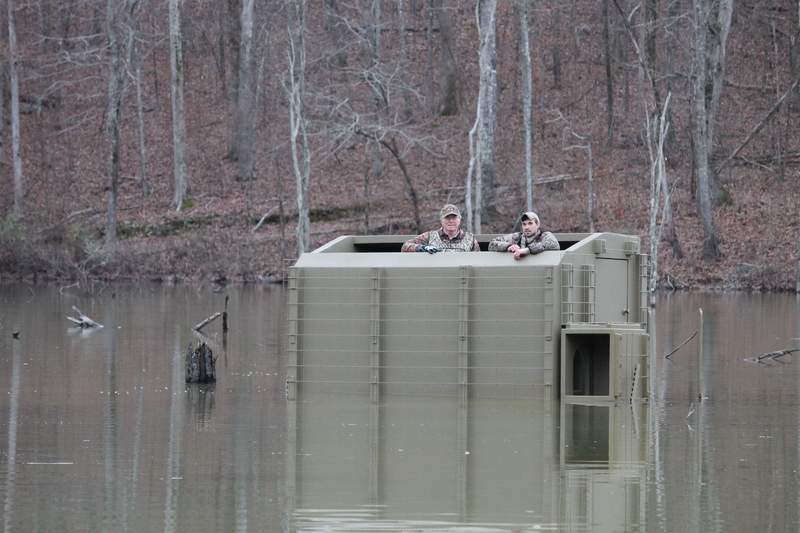 When hunting from land, the fold out ladder provides easy access. 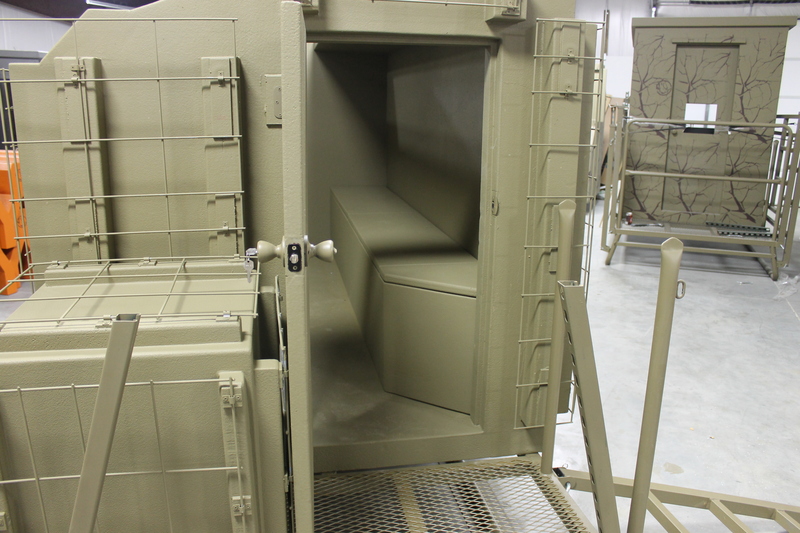 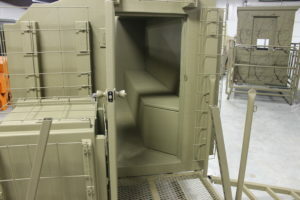 The interior shelf and removable bench seat allow plenty of inside storage for all your gear. Like all our Products, the Duck Blind is constructed from the best insulating materials with a durable coating, ensuring your blind is weather-proof and water-proof. 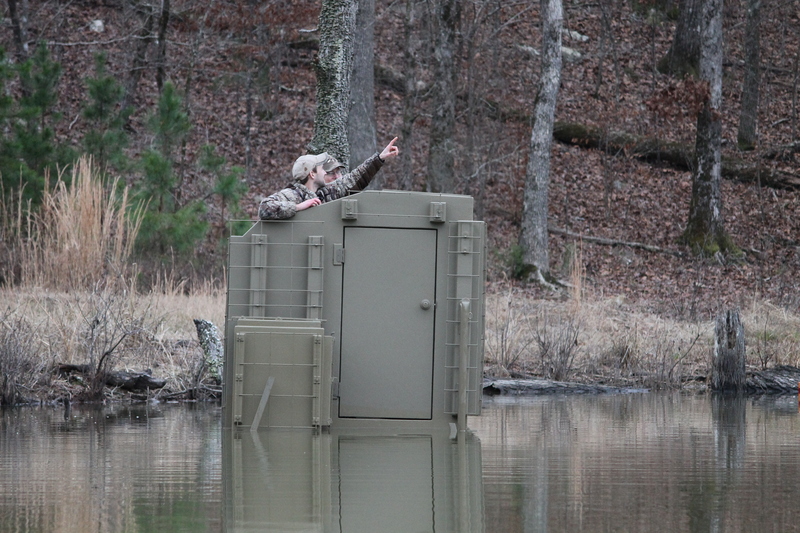 While we can’t find the perfect spot for you, we can make sure that you’re in the best Duck Blind when you get there. 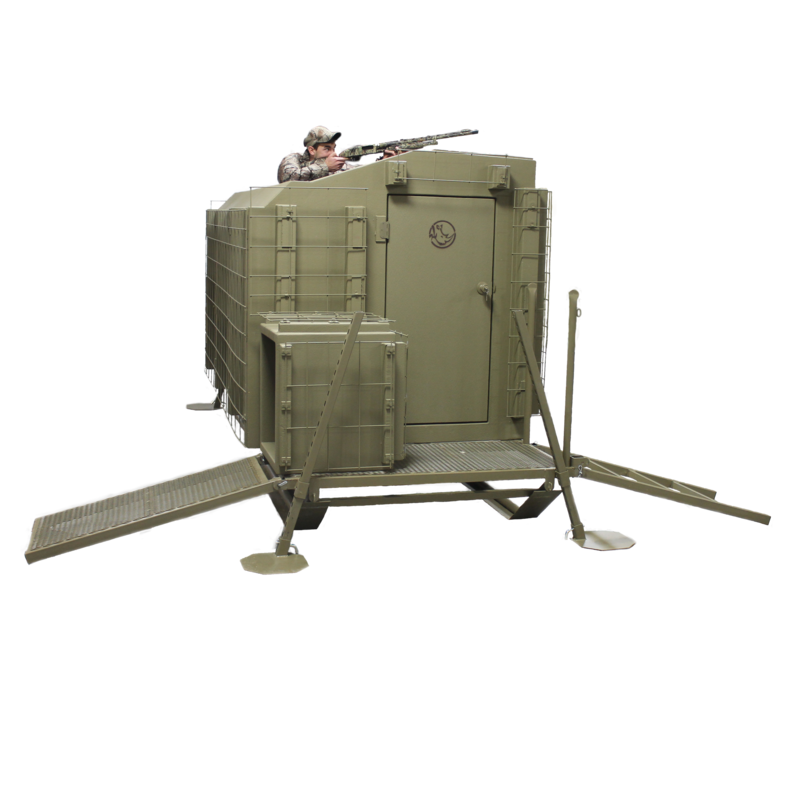 – 4 feet with adjustable legs. 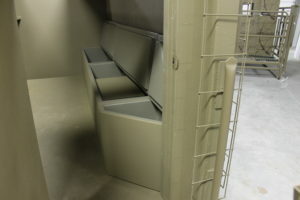 – Shelf inside of your choice. 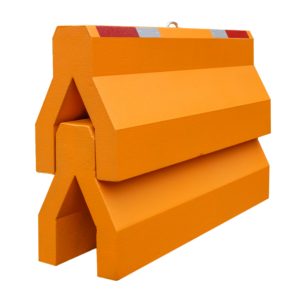 – Metal brush in panels that are mounted 3in off of the blind to allow ease of bushing in and removal for the following year. 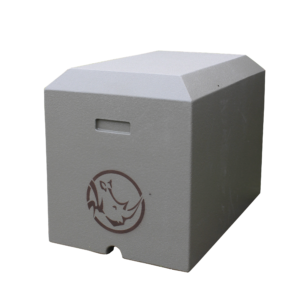 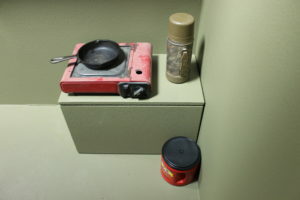 – Accommodates an 80lb dog.